I recently played Dark Souls - The Board Game and had some thoughts that I wanted to share. While I’m not saying that it's a bad game, I do think it’s a bad translation of the video games into a board game. In particular, there’s major friction between the video games’ emphasis on skill-based gameplay and the board game’s emphasis on luck-based gameplay. I know that the video games include some reliance on luck and the board game includes some reliance on skill but their balances are massively different. When levelling up your stats in the board game, you receive no real benefit except the option of equipping more powerful items (each has a set of required stat values for use). Increasing your strength does not, on its own, cause you to do more damage to enemies, for example. I would say that this goes against the feel of the video games. 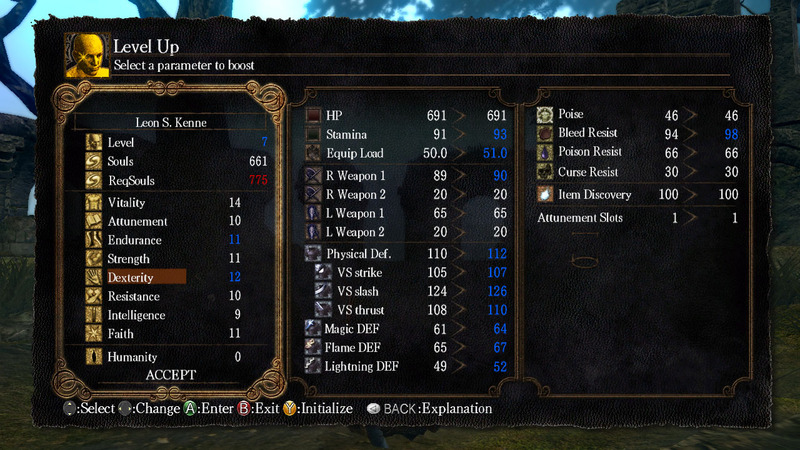 In the early stages of Dark Souls 2 and 3, I found that spending souls on improving my stats gave me a satisfying sense of advancement – I noticed my effectiveness in combat increasing from my stat increases alone. I know that hitting the required stats of the more powerful equipment is a consideration in the video games and that, later on, said powerful equipment can make a bigger difference to your combat effectiveness than stats alone. But stat increases aren’t only a path to equipment – each stat has its own effect on the way your character plays. This is entirely absent from the board game, in which the cost of levelling up your stats has been reduced to essentially a second equipment cost. I found that there was no point in spending any souls on levelling up my stats until I had collected a piece of equipment that I wanted to use but hadn’t yet met the requirements for. Acquiring new equipment is an important method of advancing your character’s abilities in both the board game and video games but their methods of granting new items to you are wildly different. 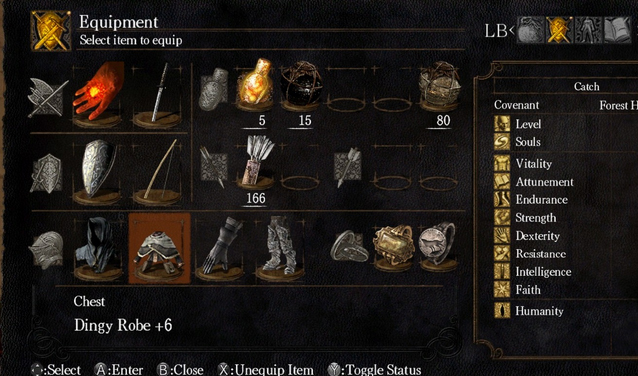 In the video games, equipment can be found whilst exploring, dropped by defeated enemies or bought from vendors using the souls you have earned. Importantly, the video games are designed to release equipment to you in a rough order – weaker items (both in requirements and strength) can be found and bought earlier on while stronger ones are found later in the game. In the board game, however, all new equipment is gained at random from a deck of cards. It can either be purchased at the cost of one soul per card or (less frequently) gained from chests found while exploring. But the randomness of gaining equipment from a shuffled deck can ruin the feeling of progression. Because of the issue with levelling up, improving equipment is the only way to increase effectiveness. Plus, you may have to level up to equip better items. I found that I was only drawing items from the deck for which I needed to level up three to five times to be able to equip – this meant that any progression to my character would cost seven to eleven or more souls. This is in a system where I was barely scraping through the early fights, earning two souls if I managed to survive (and losing everything if I didn’t). Now, I may have been particularly unlucky but I would say that this is bad design. I had no options for advancing my character, save gambling on drawing something that I could actually use, at the permanent cost of one soul and the potential cost of levelling up. It felt like my progression was almost entirely unrelated to my performance or time spent and most certainly largely left to the randomness of drawing a card from a deck. This is completely different from the progression in the video games – there’s the progression from levelling up, mentioned above, plus the designed release of usable equipment, progressing from ones with low requirements at the beginning to the most powerful towards the end. On top of the aforementioned design flaws in the progression systems, I found that the combat (which is the core of the game) relied far too heavily on luck over skill to feel in any significant way like the video games. While I was able to apply skill in deciding positioning and choosing when to attack, defend or use abilities, almost every action required a dice roll to decide whether or not I was successful. This was infuriating when I'd attack the weakest enemies over and over again but not manage to damage them due to unlucky rolls. And then, due to unlucky defence or evasion rolls, they'd ultimately kill me. This flies in the face of a video game series renowned for rewarding great skill - a series that is known for being difficult but in which the games can be beaten under even extreme restrictions (no levelling up, no hits taken, etc) by a skillful player. 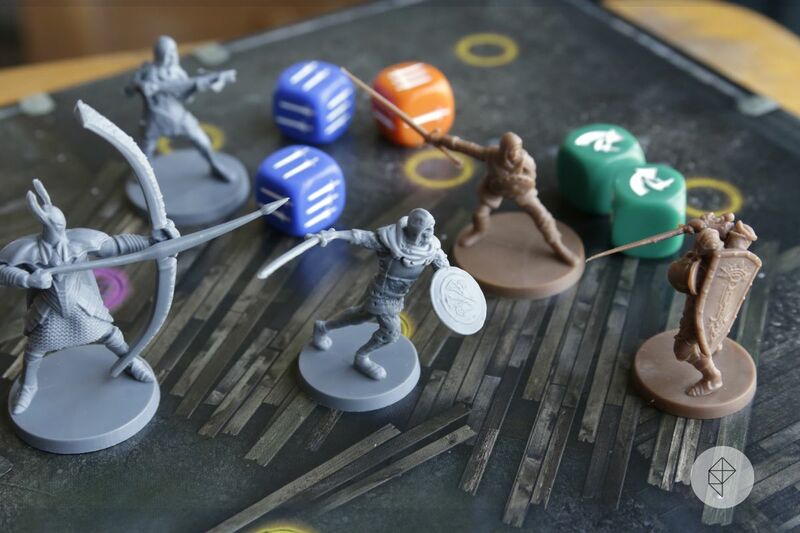 As I mentioned, I'm not claiming that Dark Souls - The Board Game is a bad game - I found it reasonably enjoyable and would probably review it at above-average. I just thought that it didn't feel like the video games. I think that several core design elements could have been changed to bring it closer to the experience. The biggest change that I would make is to remove the over-reliance on randomness. I don't really understand why dice are used so heavily - some mechanic like choosing actions from a limited pool would work better for combat, in my opinion. Maybe some sort of small-scale deck building for player actions (similar to the way the bosses function). And for acquiring new gear - I would maybe have designed a tiered release system for loot, or possibly have a set of base equipment available to buy at all times with much better gear being dispensed randomly.